To stitch the Corrugated Board as well as Cardboard to form Boxes. Stitching wire of 12/25 gauge is used. Adjustable steel arm according to the thickness of board. 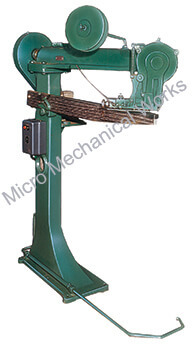 Foot pedal is provided to operate the stitching head.